EOSPY – Executive Order Sensor Processor sYstem enables you to track, monitor, and manage your fleet efficiently and effectively. Onboard vehicle diagnostics, GPS tracking, and location verification are just some of the EOSPY Fleet Management features that will help keep your business operating at peak performance. Get all the data you need to manage your fleet effectively – smart fleet management. Control costs, improve driver safety, route vehicles more efficiently, and streamline maintenance processes. Increase Productivity – Fleet management increases dynamic workflow, allows for more efficient communication and uses resources of your company optimally. 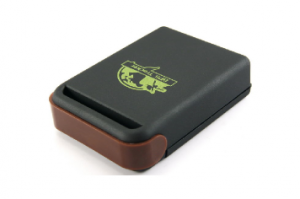 Save Fuel – GPS trackers in your vehicles reduce fuel consumption and travel times. Your employees will drive more efficiently and limit vehicles business use. Reduce Repair Cost – Keep track of how employees use your vehicles. Fleet management increases vehicle lifespan and reduces repair costs. Plug and Play – Plug an OBD GPS Tracker into the vehicles diagnostic port and you are ready to create your own Fleet Management system using our software. No Installation Costs – Installation of the GPS trackers is easy. Plug in the tracker to the vehicle’s OBD port, and you are ready to go. 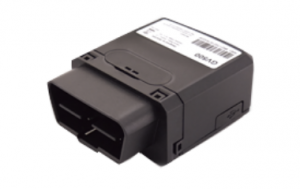 Smart OBD Reports – The OBD GPS trackers can read and send diagnostic information from your vehicle. Get notified instantly from your vehicle. Multiple Map Layers – EOSPY provides multiple map layers and Geo-view, including high-resolution satellite imagery. Vehicle Location – EOSPY can check your vehicle’s current location, speed, and distance from your computer. Current Connections – The EOSPY live Map displays the number of current GPS tracking and streaming connections. Remote GPS Information – Tracks when and where your vehicle traveled since you installed the GPS tracker. Update GPS Information – Check your vehicles speed, course and distance with continuous recording of events and history look up.